Philosophy for busy people. Listen to this succinct account of the philosophy of Locke in just one hour. Much of Locke's thought we would now regard as common sense. One of the most influential of Enlightenment thinkers; his philosophy was to lay the foundations of empiricism with its belief that our knowledge of the world is based on experience. Locke's work introduced the idea of liberal democracy - a concept that has become the shibboleth of Western civilisation. People who can't even spell philosophy are now likely to accept these ideas; just over three centuries ago they were incomprehensible. 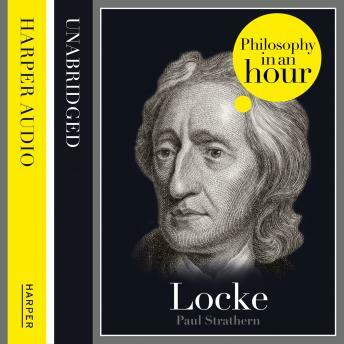 This is an audiobook that depicts Locke's life and his philosophical ideas. It's entertainingly written and above all easy listening. Also included are selections from Locke's work, suggested further reading, and chronologies that place Locke in the context of the broader scheme of philosophy.